On Saturday, March 12th, positive energy, creativity, and connections flowed during the 5th annual City of Music Career Day at EMP Museum and The Vera Project. 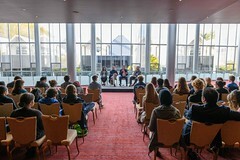 This educational program, developed by the Seattle Music Commission and produced in partnership with One Reel, Office of Film + Music, Office of Arts & Culture, EMP Museum, and The Vera Project, provides young people ages 16 – 24 with direct access to music industry professionals through networking, experiential learning, and direct mentor opportunities. 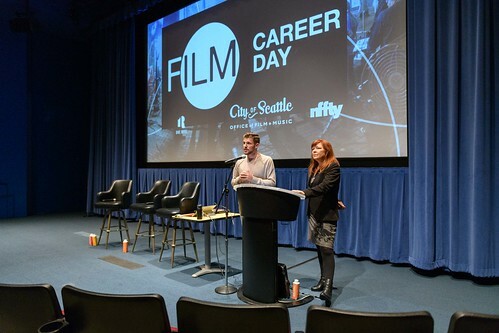 City of Seattle Deputy Mayor Hyeok Kim set an inspirational tone with her welcome speech highlighting the importance of events like City of Music Career Day to cultivate connections and opportunities for Seattle’s next generation of creative industry leaders. 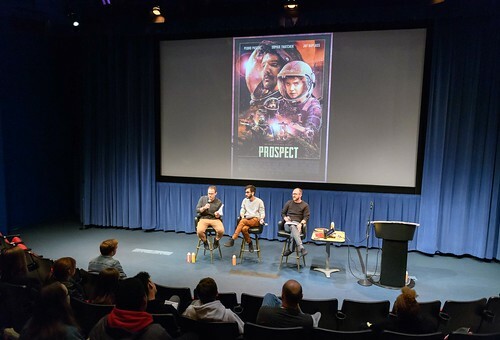 Seattle Music Commissioner and Executive Director of The Vera Project, Tim Lennon, introduced the event’s keynote speakers Hollis Wong-Wear, Ludovic Morlot, and Sir Mix-a-Lot who each gave short presentations and then opened it up for audience questions. Following the keynote address, youth in attendance engaged with a diverse array of industry experts during breakout panels. Organized around different opportunities available in the industry, the morning panel topics included ARTIST, discussing how to succeed as an artist in the ever-changing industry landscape; VENUE, sharing the ins and outs of running a venue; and MONEY, highlighting all the ways artists and musicians can have music be a lucrative career choice. Afternoon breakout sessions covered topics ranging from FESTIVAL, which explored how to produce large- and small-scale festivals and D.I.Y., discussing the positives and negatives of working outside the framework of the commercial music industry, to COMPOSING, which covered the variety of ways musicians can make a living doing video game scoring, film scoring, and classical composition. During lunch, youth attendees were given the chance to mix and mingle, network, and learn more about internship, career, and program opportunities available at local music-focused organizations during the Career Fair. 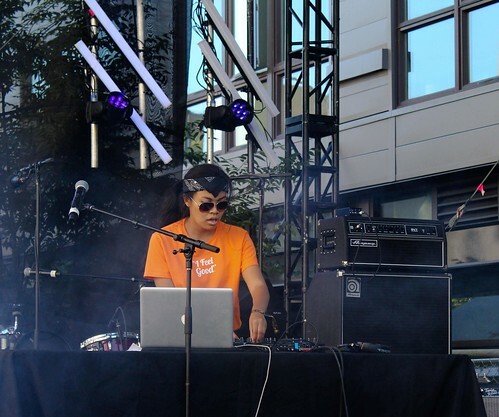 Participating organizations included Cornish, DigiPen, Earshot Jazz Fest, KEXP, Rain City Rock Camp for Girls, Seattle Opera, Sub Pop, Totem Star, The Vera Project and many more. 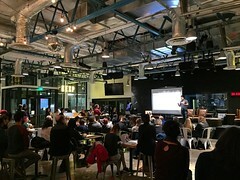 The jam-packed event ended with a networking party that featured direct mentor sessions with professionals from a broad spectrum of the music industry – from producers and booking agents to veterans in management, PR, marketing, sound engineering and more, along with guided tours of KEXP’s new home. The networking event was hosted (and DJ’d) by 2015 City of Music Interns Bella Pham and Geran Landis. Planning is already underway for City of Music Career Day 2017 – stay tuned for more info and join in the fun next year! Seattle has long been a city rife with musical overtones. Instrumental dings and vocal chirps are always within an ears reach of inhabitants, and the melodies and harmonies that echo speak for the culture of place of the ever-evolving zeitgeist. Whether it is the Native Americans of the area performing local dance and song, or Nirvana-inspired punk-rock resonating from Showbox speakers, the common colloquial second language of the Pacific Northwest is undeniably music. To read more about how music permeates the very core of what it means to be part of a city like Seattle, take a look at the recently posted Seattle: City of Music essay on the SCOM site. As part of its commitment to community engagement and outreach, the Seattle Music Commission (SMC) shares a recap of their regular monthly meeting. At their most recent general meeting, the Commission discussed the ongoing work of its three subcommittees: Policy + Planning, Youth + Community and Branding + Communication. The Policy + Planning Committee continues to focus its energies on developing a partnership with the Port of Seattle and Sea-Tac Airport to facilitate a uniquely “Seattle” musical experience for visitors and natives alike. The Youth + Community Committee is seeking out ways to support and expand upon existing youth and community career development programs and events throughout the city, including possibilities for music industry career fairs and internship programs. The Branding + Communications Committee continues their work to develop an innovative and inclusive community-driven web resource focused on telling the story of Seattle’s rich musical history across genres. The Commission would love to hear from you regarding these or any of the projects listed in its workplan, which is available at the above link. You can contact the Commission via their email address: seattlemusiccommission@seattle.gov. 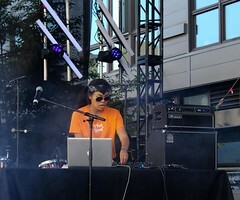 The Seattle Times’ Jonathan Zwickel runs through Seattle’s 2009 musical landscape. He highlights the momentous leap forward for 206 Hip Hop, the revival of Americana powerhouse No Depression, the re-opening of the Crocodile, the amazing reunion of Seattle’s soul community on the Wheedles’ Groove compilation and more. Also highlighted was our office’s City of Music Initiative which passed an admissions-tax exemption that helped certain venues retain more profits from shows and opened the Artist Clinic, providing low-cost health care to artists and musicians via the Country Doctor on Capitol Hill. 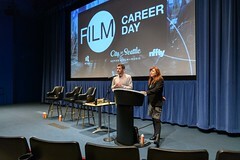 The Seattle Weekly’s Hannah Levin praised the Seattle City of Music Initiative saying, “When Nickels’ Office of Film + Music unveiled its Seattle City of Music Initiative in late 2008, the guarded skepticism with which many local promoters, artists, journalists, and club owners greeted it carried into early 2009.